Specially produced by hand at the ZWILLING J.A. 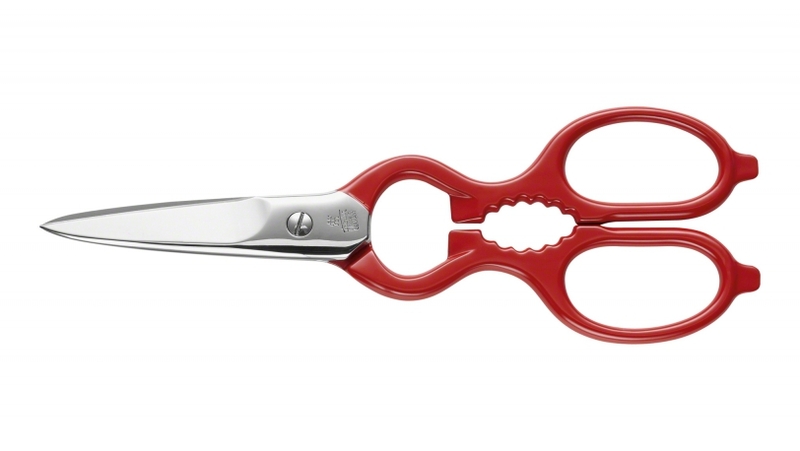 HENCKELS factory in Germany, these multi-purpose shears are ice-hardened using the special Friodur process and precision forged for long lasting blade sharpness. They have a durable, heavy weight construction with three integrated key functions: bottle cap opener, screw cap opener, and jar lid lifter.